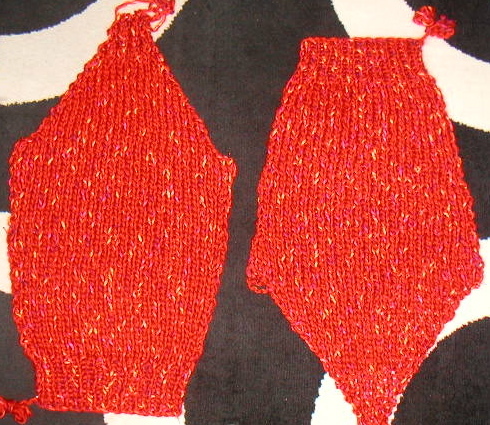 The sleeves of the sweater are now finished and blocking, along with the back and fronts. Once that's done I can start on the seaming and knitting up the collar. While I wait for the blocking to be done, I am going to use my extra skein of Ribbon Twist to knit up Alpha, a cute hat from the same pattern book.